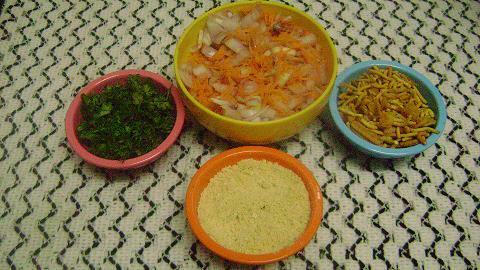 Mandakki Oggarane is very famous in North Karnataka. This is very tasty ans spicy stuff which is ideal for evening snacks. It is very crispy too. I got this recipe from a couple who run their North Karnataka food shop in ISRO layout,Bangalore. 1. 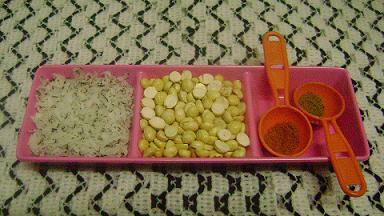 Grind Putani, Dry coconut, jeera powder, chiili powder and salt to fine powder and keep it aside. 2. Heat oil in a pan, add mustard seeds and allow it to sputter. Next add cumin seeds, turmeric powder, asafoetida, green chillies and fry for a second. 3. Switch off the flame and let it cool down. On cooling down add salt and powdered sugar. 4. 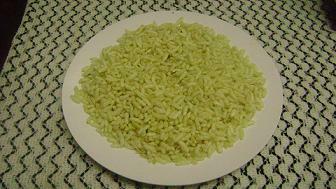 Then add the puffed rice to this seasoning and mix well. check for salt , if required you can just sprinkle salt. 5. Now all the preparations are ready and you can serve . 6. 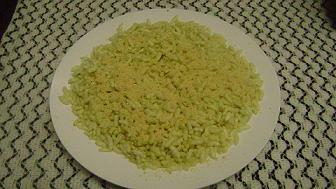 Take a plate of puffed rice from step 4. 7. 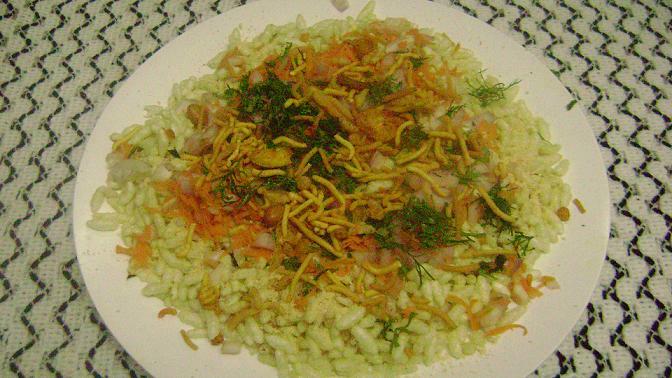 Put the 1 spoon of dry powder all over puffed rice. 8. 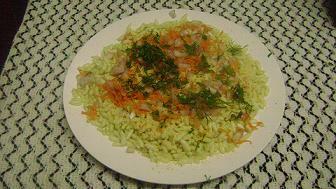 Next Put Onion and Carrot over the puffed rice. 9. 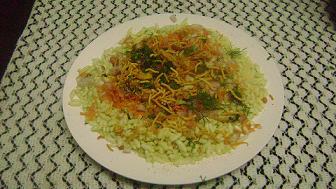 Finally add Coriander leaves and Namkeen over the rice. Your Spicy Mandakki Oggarane is ready to serve.